Featuring bi-directional fine slots, the new EBC Brakes BSD series brake discs vent the brake area better, drawing heat away from the central brake pad area and with more slot under the pad contact area, these discs are totally silent in operation and de-gas your brakes when used at speed or under heavier loads minimising heat fade. 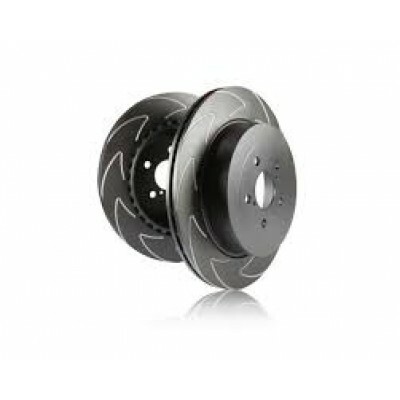 Now with lower pricing and the thermic black anti corrosion coating with show-thru silver slots, these discs are surely the best through wheel looks and most functional sport discs on sale. The fine slot pattern prevents the ribs that typically generate after 5-10,000 miles of use on non slotted discs and maintain flat and parallel pad wear and due to the fine slot design can even extend pad wear life.